I know, I know, povitica/potica has made a few appearances here at Three Points Kitchen. But the Eastern European nut bread is a family holiday tradition, especially as part of the Easter basket and subsequent dinner. But part of the fun of baking comes from where experimentation and exploration can take you. OK, sometimes innovation is a matter of necessity. Arriving in D.C. for Kate’s annual Easter feast, I realized I’d forgotten the walnuts needed for the traditional povitica filling. Kate suggested substituting pistachios from a stash she had on hand. My mother would not have approved (she barely tolerated the cheese filling option that is also traditional), but our revolutionary idea proved relevatory. Swapping out ground pistachios for the same amount of walnuts in the basic recipe, keeping the cinnamon and adding a touch of almond extract, took this batch of povitica to a delicious new place. 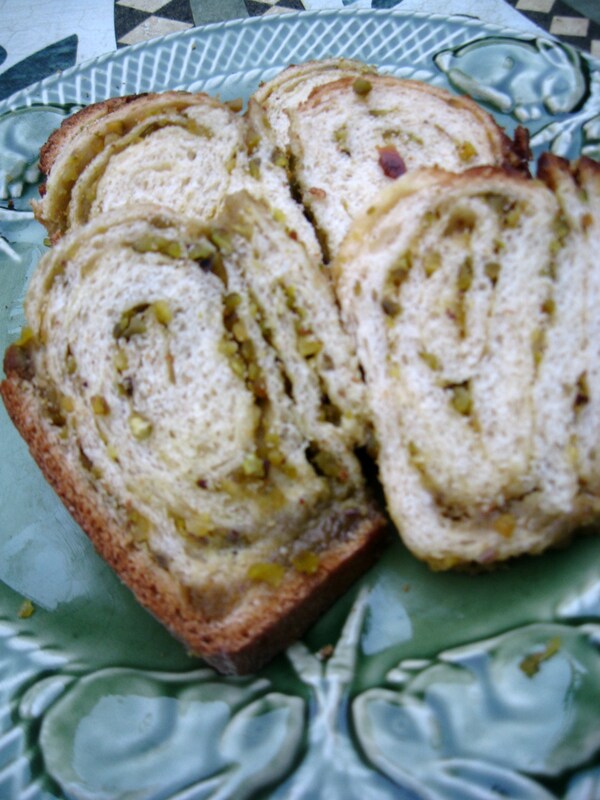 The Turkish turn it took seemed entirely in keeping with the culinary influences found throughout states of the former Yugoslavia from where our family recipe hails, and the swirl of green pistachio filling lent a springtime touch. Sorry mom, but this one’s a keeper. Try the recipe here.